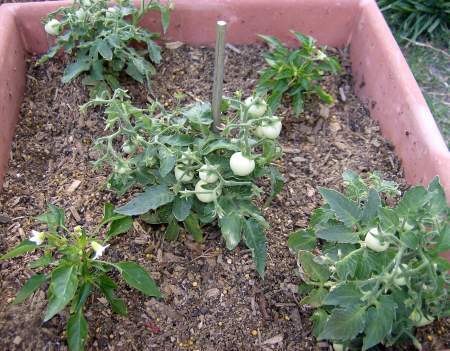 The micro farm is a 14″ square pot with 3 miniature tomato plants called Micro Tom and 2 Medusa pepper plants. I will update you weekly with photos of the farm’s progress. These two varieties are considered ornamentals or novelties, but I will be taste-testing Micro Tom. I can already report that Medusa peppers are sweet and crunchy. They look great in stir fry or salads, too.